PMI – robotics in finance – what it is and why it will affect me? We are delighted to welcome Lara Ferrari, CEO from prozessraum AG. Lara will be joining us to present a subject everybody should be familiar by now – ROBOTICS. The truth is that at this moment only roughly 40% of business use RPA and not many of those have real strategies in place to leverage the power and potential of RPA for their business model or services. This leaves half of the market place to be conquered by PMs who understand the benefits and the potential of RPA to significantly save cost and generate operational benefits for your organisations. Main Question: Will Robots steal my Job? 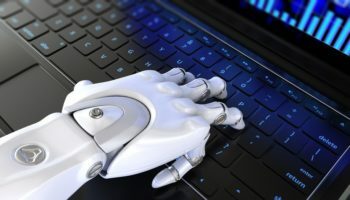 What is Robotics RPA and why should I care (as a PM)? For the past 20 years Lara has had several roles in the insurance and financial sector, ranging from Black Belt PM up to senior management positions with the leadership of over 50 employees worldwide. Lara is a charismatic leader with extensive experience in organizational development, Strategic Project Management, Business Process Management and coaching. She successfully lead transformation projects, key change management initiatives and of late RPA Projects in the financial industry. Her passion is driving organizations towards operational excellence, bringing shareholder value and enterprise effectiveness through promoting change and improving processes.